We loved our time in Germany! In many ways being in Germany felt familiar to home. Wisconsin is home to many German (and other European) settlers, and the parallels between Germany and Wisconsin were immediately evident. Natalie and I both have German roots and grew up surrounded by German influenced culture, particularly the food (bratwurst and beer anyone?). Similar climate, landscape, farmland dominant drives, food, culture, and friendly people… no wonder why so many Germans felt at home in Wisconsin! Enjoying a delicious cinnamon roll at Zeit für Brot in Berlin. Via the flexibility of a rental car, we were able to cut across the entire country over the course of two weeks. Our journey began in Munich, which offered a quick perspective of new world Germany, with a more posh and upscale vibe. Although almost entirely rebuilt since the wars, it supposedly retains a similar feel as pre-war since the architecture is intentionally similar. We enjoyed beer from the original six Munich breweries, with our favorite being Augustiner (their Dunkelweiss is amazing and not widely available outside of Germany). One of our favorite experiences in Munich was touring the BMW Museum and we enjoyed learning about the history of the company as well as seeing all of the stunning motorcycles, cars, and engines on display. 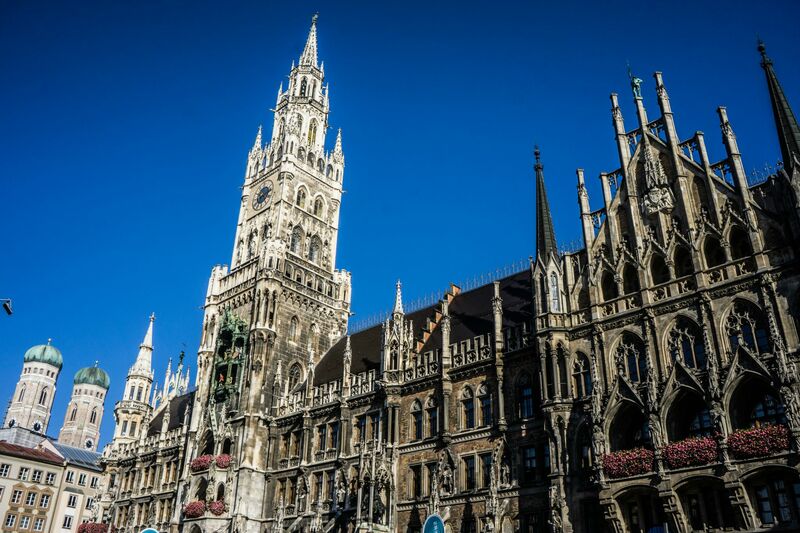 The Rathaus in Munich is home of the original Ratskeller. 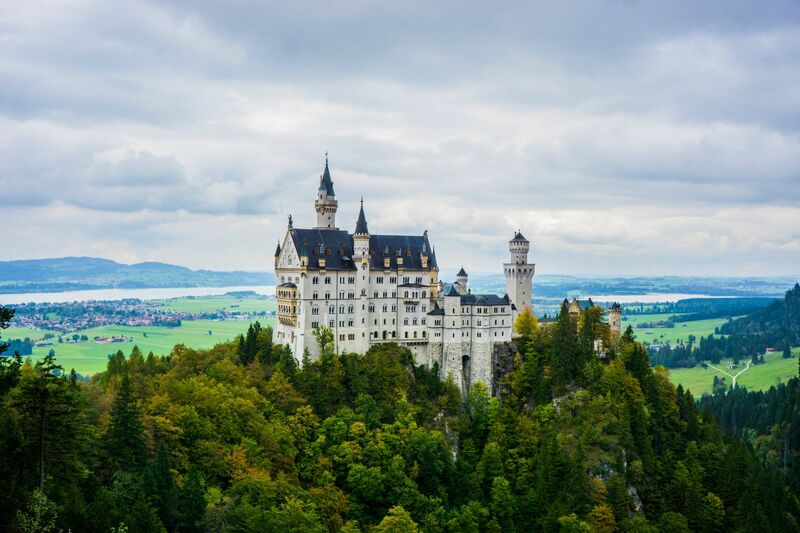 From Munich we sought after the fairy tale landscape offered by the Bavarian Alps and the Romantic Road (Romantische Straße) where we began with a visit to the Neuschwanstein Castle (the castle that inspired Disneyland’s Sleeping Beauty Castle). I recall witnessing two little American girls gaze up at Neuschwanstein Castle with wide eyes in awe and I knew exactly what they were thinking - best dad ever! Look familiar? Neuschwanstein Castle, located near Fussen, inspired Disneyland's Sleeping Beauty Castle. The Romantic Road is roughly 220 miles (350 km) and cuts across more than 25 picturesque towns. 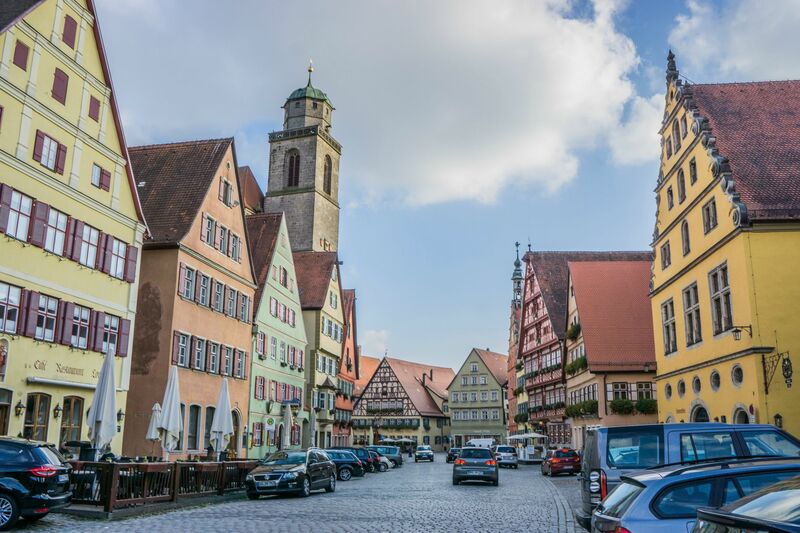 Driving the Romantic Road offered an entirely different perspective of the country, as the towns and cities along the way were not harmed during the wars. Although very tourist-oriented, it was neat to see and experience life as once was in Germany. Architecture along the Romantic Road was truly reminiscent of a fairy tale, featuring the Neuschwanstein Castle and the ginger bread houses that make you feel like it is always Christmas. The buildings of the Romantic Road were not damaged during the wars. 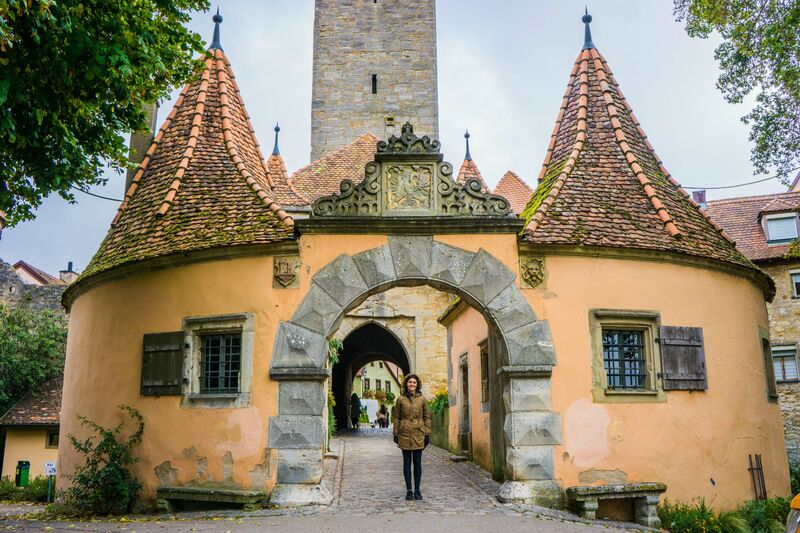 Natalie enjoyed her time in Rothenburg ob der Tauber. Heading north from the Romantic Road, we found ourselves discovering the modern cities of Osnabruck and Hamburg. Osnabruck, being a university town, has a relaxed vibe that we enjoyed. In Osnabruck we were lucky to stay with Philipp and Marie, whom Josh had met while he lived in Valencia, Spain. It was great to catch up with them! Hamburg is by far the larger of the two cities and, being a port town, offers more of a variety of neighborhoods. We enjoyed walking around the Sternschanze neighborhood, which had a grungy, hipster vibe to it. Breakfast with friends Philipp & Marie in Osnabruck. Last, and most importantly, almost half of our time in Germany was spent catching up with our great friends Jens and Hasi in the capital city of Berlin! 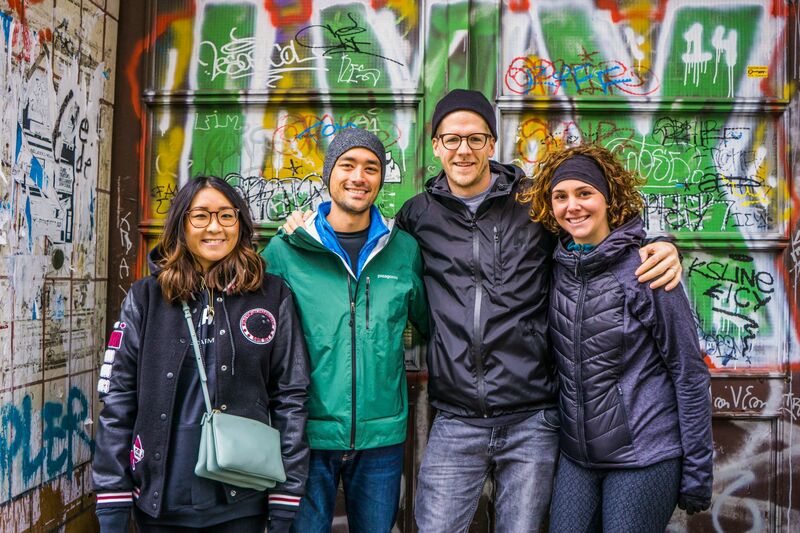 There is SO much to do in Berlin and Jens and Hasi were kind enough to be our guides for the week! 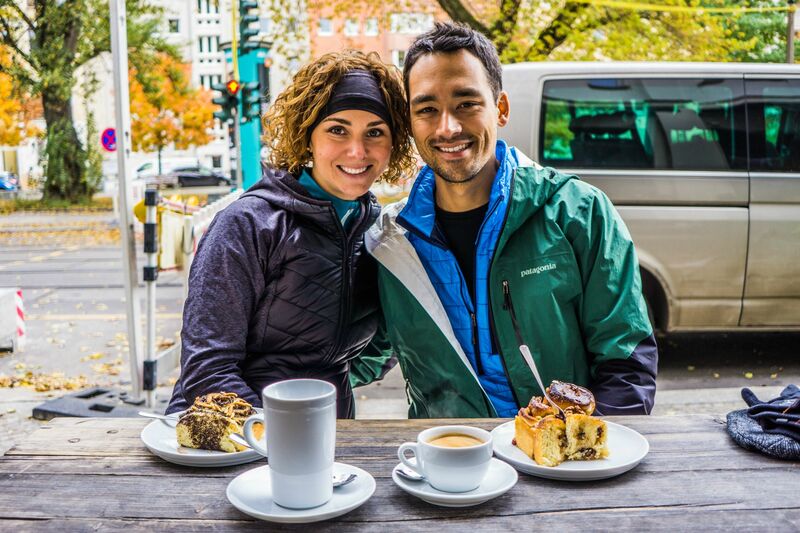 We loved exploring the city with them, especially via bike! We enjoyed the simple pleasures such as the great cafes (NoThaft Seidl) and restaurants as well as seeing more of the historical sites such as the Brandenburg Gate. One of my favorite activities was enjoying the Festival of Lights, where displays of fascinating light shows on the many historic and architecturally diverse buildings can be seen at night. 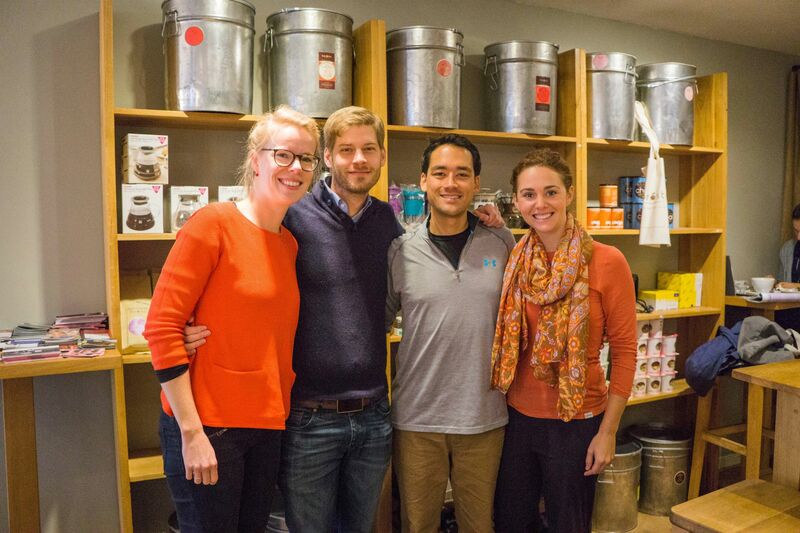 We had a great time with visiting Jens & Hasi in Berlin!